This flat cable pendant chain is an easy to wear classic. Small links are still easily visible with a bright silver flash. Easily add pendants or focal links to jazz up this necklace building block. 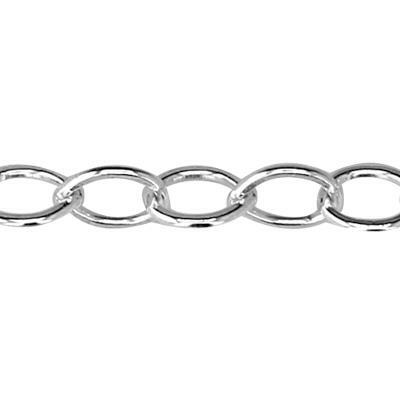 Also available in 31018F18 gold-filled 18 inch chain version. Nice dainty chain that worked well for my design. Spring ring clasp works nicely. Only drawback is that they are hard to clean if they get tarnished because they are so delicate.